First, there was the trailer for The Awesome Adventures of Captain Spirit, a playable demo leading to Life Is Strange 2. Then it was released, and while some people loved the demo, I found it lacklustre. 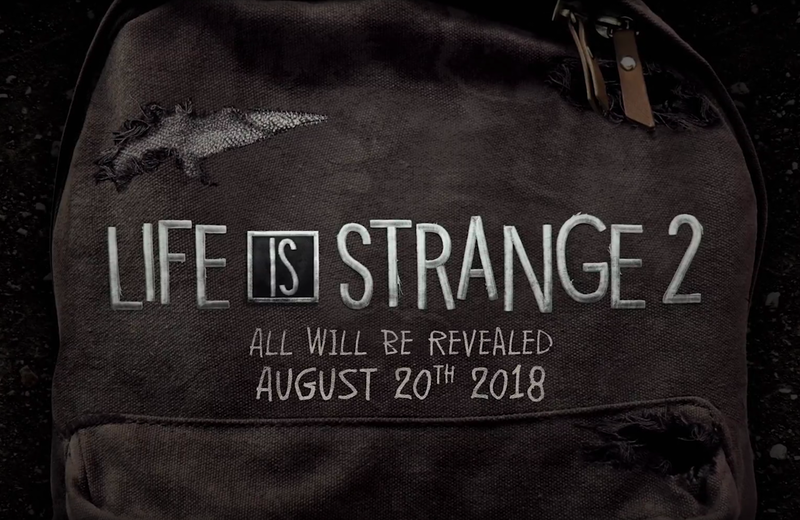 So I've still been waiting for something more concrete about Life Is Strange 2. And it's time! Okay, it's almost time. This new teaser promises that "all will be revealed August 20, 2018." The video is police cam footage from one K. Matthews on October 26, 2016. A little before 5 p.m., it appears to be a quiet day as the car drives down a deserted road. The problem? First, time seems to go missing: minutes of video disappear with a flicker at several points. The officer is seen exiting his vehicle and walking in front. Another flicker of time occurs, then a big gust of air throws the officer to the ground and the car tips over. Life Is Strange 2 is the highly-anticipated sequel to Dontnod's episodic game that introduced a strange (for lack of a better term) version of the real world through a time-traveling teenager and her blue-haired friend from times past. There was a prequel released, Before The Storm, developed by Deck Nine, but it still wasn't the new story we crave. Captain Spirit followed a boy as he passed time in his home, trying to avoid his alcoholic father. He plays superhero, until he develops actual superpowers. How it links to Life Is Strange 2 is still unknown, although the implication certainly seems that it's this boy who caused the giant whoooosh in the new trailer. With mere weeks before the apparent big reveal, it seems like a great time to replay the original and its prequel to psych yourself up!